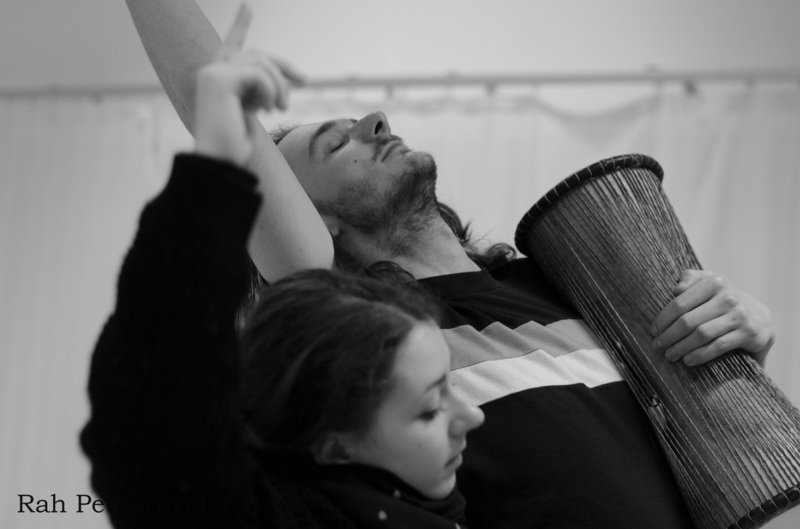 'Untold' is a piece created in a project where students from the Guildhall School of Music and Drama create new work in collaboration with students from the London Contemporary Dance School. I worked with composer Oliver Christophe Lieth and Choreographer Jack Humphrey. As violinist I was part of the composition and the choreography. I moved around with the dancers while playing the violin. Both the composer and the choreographer allowed me to use there material in a free and improvised way which gave me a lot of freedom to play and experiment with the material. We finished the project with four performances in the theater of The Place, London. After the project I felt the need to continue this sound and movement exploration. Together with some of the dancers I started 'The Sang Collective'. 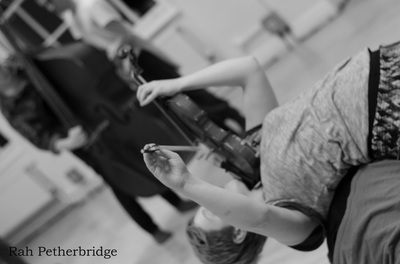 An ensemble in which dancers and musicians could improvise, collaborate, create original new work and push boundaries. During my time in London we often came together to rehearse and improvise. 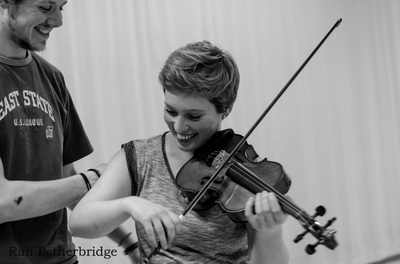 The work with the ensemble has been a big influence on my development as cross-arts practitioner and workshop leader. I think the gain knowledge and experience were very present in my final masters performance 'Interbeing'.